New house prices in Canada were unchanged for a second consecutive month, despite increases in some pockets across the country. In April, builders in 19 of the 27 census metropolitan areas (CMAs) surveyed reported flat or declining prices, which coincides with the introduction of recent tighter mortgage regulations and higher mortgage rates. 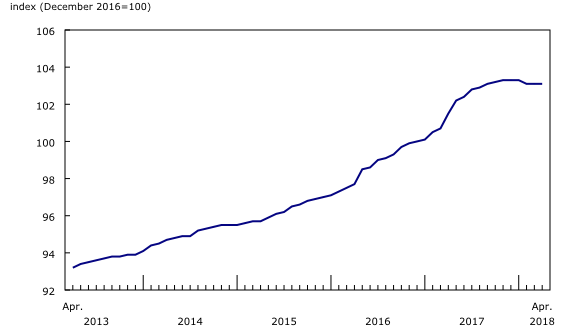 The Canada-level index has seen no upward movement since December 2017. Toronto, historically one of the pricier housing markets in the country, posted a 0.5% decline in April, its fourth consecutive monthly decrease. Builders attributed the decline in April to unfavourable market conditions, as well as lower negotiated selling prices. New home prices in Toronto were generally unchanged from June to December 2017, followed by a series of declines in 2018. Last year, the Ontario government introduced the Fair Housing Plan which included the 15% Non-Resident Speculation Tax, as well as other measures aimed at cooling the housing market in Ontario. In Vancouver, another high-priced Canadian housing market, new home prices have been unchanged since January 2018. In an attempt to help stabilize housing prices, in February, the government of British Columbia announced measures to address housing affordability in a comprehensive housing plan. This initiative included increasing the foreign buyers tax from 15% to 20%, and expanding its coverage to more areas. In April, eight CMAs reported gains, led by Windsor (+1.0%) and Sherbrooke (+0.7%). Builders in both CMAs linked the gains to higher construction costs and new phases of land development. New house prices rose 1.6% year over year in April. The largest 12-month gains were registered in Vancouver (+7.1%), London (+5.8%) and Ottawa (+5.5%). 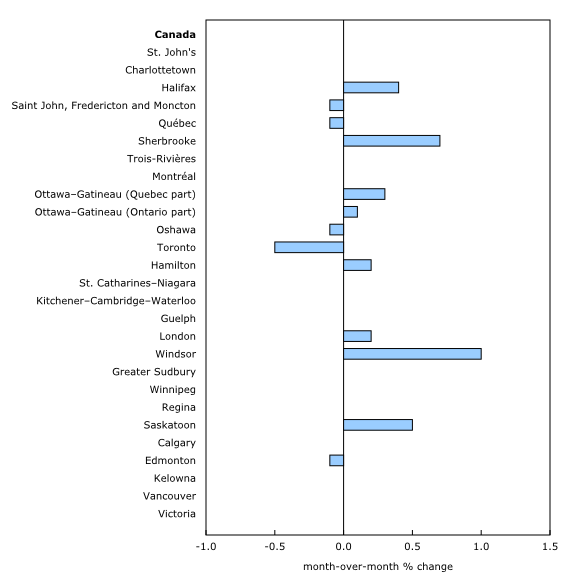 Among the six CMAs reporting declines, Saskatoon (-1.5%) recorded the largest 12-month decrease. Toronto saw new home prices decline 0.3% year over year in April, compared with a 9.9% increase in April of last year. This was the first year-over-year decrease since October 2009. The New Housing Price Index for May will be released on July 12.